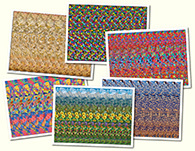 Object Arrays Stereogram Gallery : Segment Stereogram : Stereogram Images, Games, Video and Software. All Free! 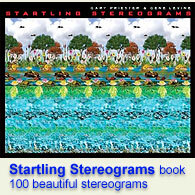 This is a very primitive but not well known type of stereograms. Although it's technically an Object Array, it has an illusion of hidden picture made of 3D floaters. I would call it Segment Stereogram.